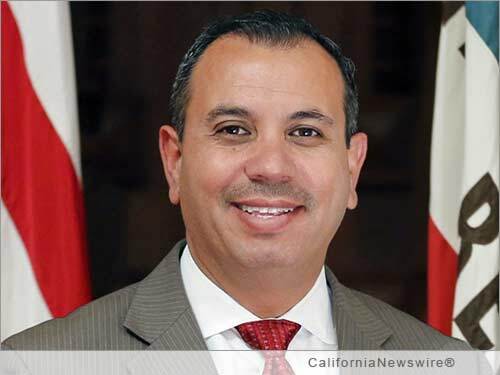 SACRAMENTO, Calif. /California Newswire/ — SB 212 authored by Senator Tony Mendoza (D-Artesia) was signed by Governor Jerry Brown today. The bill addresses the proliferation of Butane Hash Oil (BHO) and methamphetamine manufacturing in residential neighborhoods by making it an aggravated felony to manufacture the drugs within close proximity to occupied residences and structures. The new law will go into effect on January 1, 2016. BHO is a highly potent form of marijuana which has grown in popularity the last several years and is known on the street by many different names including, honey, erl, hash oil, honeycomb, toast, and wax among others. “I thank Governor Brown for his signature on SB 212. This new law will help protect our neighborhoods and schools from those who manufacture illegal drugs,” said Senator Tony Mendoza. “Not only is BHO or methamphetamine manufacturing illegal, but it is an extremely dangerous and highly volatile activity that can result in large explosions, causing extreme bodily injury, death and property damage,” said Senator Mendoza. Illegal clandestine BHO and methamphetamine manufacturing poses a significant risk to neighborhoods. The labs are extremely dangerous. The chemicals used in the manufacturing process create substantial risk of explosions, fires, chemical burns, and toxic fume inhalation; these risks extend well beyond the walls of the lab itself, placing people and property in harm’s way. SB 212 strengthens California drug laws by allowing a judge to consider as an aggravating factor the manufacturing of BHO within 300 feet of an occupied residence or structure or methamphetamine within 200 feet of an occupied residence or a structure. Butane hash oil labs, a new type of clandestine lab, are on the rise throughout California. BHO labs use butane, a highly explosive gas to extract hash from marijuana. Recently, there has been a spate of explosions throughout California as the result of BHO manufacturing, causing severe injuries, fatalities and severe damage. Last October, a multi-unit apartment building in Walnut Creek, Calif., went up in flames because of BHO manufacturing and an explosion of an apartment building near Sacramento displaced 140 people. The Sacramento Bee reported that Shriners Hospitals for Children in Northern California has treated 68 victims for BHO burns in the last three years. The average child was burned on 28 percent of their body. “SB 212 strengthens the law and sends a strong message that if you choose to manufacture drugs in our neighborhoods and near schools, you will be severely punished,” added Mendoza. In the past several years, federal and state law enforcement agencies have discovered more than 812 illicit drug labs on private and public property and in close proximity to schools throughout the state. In San Jose in May, 2014, the discovery of a crystal methamphetamine lab in a home near San Jose High School. In December, 2014, a drug lab was discovered at a Victorville daycare center capable of manufacturing BHO. In Fresno County in January, 2015, a BHO lab was discovered in a home that shares a fence with a school. In addition, there were 28 firearms in the house. In San Diego County, 17 BHO labs were discovered in the first four months of last year. A third of those were discovered because they exploded. In Yuba County, 10 BHO labs were discovered last year. The year before that there was only one. “The location of drug labs in residential neighborhoods and near schools is unacceptable. We need to provide law enforcement and our criminal justice system all the appropriate tools to make our communities and neighborhoods safe,” added Mendoza. “We need to do everything we can to ensure that our communities are safe from the threat posed by the manufacture of illicit drugs,” said Senator Tony Mendoza. “We need to ensure that our children are safe in the classroom and on the school playground from the threat posed by the manufacturing of illicit drugs,” said Senator Tony Mendoza. More about Sen. Mendoza: http://sd32.senate.ca.gov/node/4 .